In the business for over 50 years, Crane Vinyl Siding is known for durability and quality. Their products come with a solid vinyl siding warranty to guarantee good materials and workmanship that will keep your home looking good without showing excessive wear and tear. Since 1947, Crane has been in the home cladding arena. Although they started out producing products for companies like CertainTeed and Alside, in 1976 they created their own line. 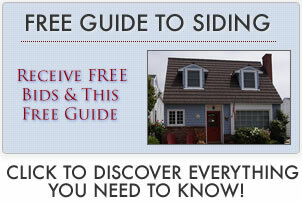 Decades of experience make it possible for them to create vinyl siding that is some of the most durable on the market. They also come in a variety of colors and styles so you don’t have to sacrifice great looks to get great quality. Crane has several product lines, which can vary in price greatly. Architectural features like dormers and other projections can increase the installation costs a good deal, as well as add to waste which can drive up the materials needed. More on Crane siding prices. Description: This line features a traditional cedar siding grain in several designs. The edges are designed to interlock cleanly for a seamless appearance. Available in over 20 colors, this siding can resist winds of up to 200 mph and is guaranteed for the life of the home. Available Color Options: Aspen White, Bone, Cabin, Clay, Country beige, Cypress, Desert, Driftwood, Graphite, Greystone, Harbor Blue, Lighthouse Red, Mocha, Nutmeg, Olive, Pearl, Regatta, Rye, Saddle, Slate, Stratford Blue and Wheat. With the look and feel of natural wood siding, this line comes in 14 different colors and several styles. With a limited lifetime warranty and wind resistance of up to 135 mph, it isn’t as heavy as some of Cranes products but it does have a 1/2″ profile edge for some added strength. Available Color Options: Aspen White, Bone, Clay, Country Beige, Driftwood, Greystone, Harbor Blue, Ivory, Pearl and Saddle. Description:The Market Square line is known for clean lines and a natural cedar appearance. It comes in 23 vinyl siding colors to fit any home style. The WindBreaker nailing hem delivers a 135 mph wind load and the limited lifetime warranty delivers some peace of mind. Available Color Options: Aspen white, Bone, Cabin, Clay, Country Beige, Cypress, Driftwood, Greystone, Harbor Blue, ivory, Lighthouse Red, Mocha, Pearl, Regatta, Rye, Saddle and Wheat. Crane’s Cedar Shake siding line has the traditional look of authentic cedar shake shingles with the durability of modern materials. The seamless design is available in 27 different Crane siding colors. One of the most impact resistant lines, it also rejects warping and fading to keep its good looks over time. This line offers wind resistance up to 160 mph and has a limited lifetime warranty. » What's Your Project Plan? Copyright © 2011-2020 www.vinylsidingconnect.com. All Rights Reserved.